NEMCC President Ricky Ford spoke to the county board Monday morning, Dec. 3. The Union County Board of Supervisors heard reports from two organizations it supports with county tax funds at its Monday, Dec. 3, 2018, meeting. First on the board’s agenda was Dr. Ricky Ford, president of Northeast Mississippi Community College (NEMCC). Ford told the supervisors that the NEMCC campus in New Albany now has an enrollment of 77 full time students. He said the Booneville-based state-operated community college has a total full-time enrollment of 3,601. He said that 1,530 of these full time students, about 43%, are on-line students, who take most of their class work via the internet, using text books and listening to lectures on a website maintained by NEMCC. Each student at the college buys an iPad for about $300. The iPad is used to access the materials NEMCC provides on its website. Dr. Ford said that course textbooks are loaded on to the iPad, saving each full time student about $800 compared to the cost of purchasing ink-on-paper textbooks. The Union County board appropriates money each year for NEMCC operations. Dr. Ford said that, through wages paid to Union County residents, who are NEMCC employees, and various other money the college spends in Union County, the county gets back $2.57 for each dollar the board appropriates to the college. Ford told the supervisors that NEMCC intends to construct a new building on the New Albany campus, starting in 2019. Ford said NEMCC discourages its students from taking student loans “unless absolutely necessary.” However, NEMCC students receive $977-thousand each year from federal Pell Grants. Gary Chandler, of Three Rivers, updated supervisors on his organization’s work for Union County. Made 12 visits with existing industries, some multiple times. Brought seven Mississippi Development Authority (MDA) leaders and managers to see “see product in the community. Brought four Tennessee Valley Authority (TVA) economic development officials to see product in the community. 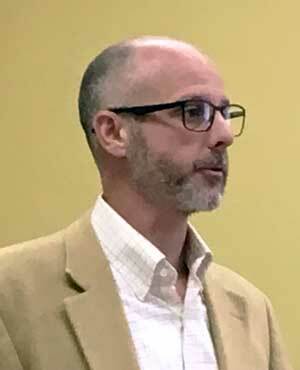 Chandler described the work done by Three Rivers to implement getting a 200,000 square foot concrete pad constructed at the county’s Martintown South Industrial Park on which a building could be constructed for a new industry. Besides hearing from the NEMCC and Three Rivers representatives, the board went through its routine agenda of approving minutes of its past meetings, paying the bills, approving the road department’s December work schedule, and paying various fees due to county officials. The Union County Board of Supervisors will meet again Monday, Dec. 17, at 10 a.m.
MS First Congressional District results: all about money?